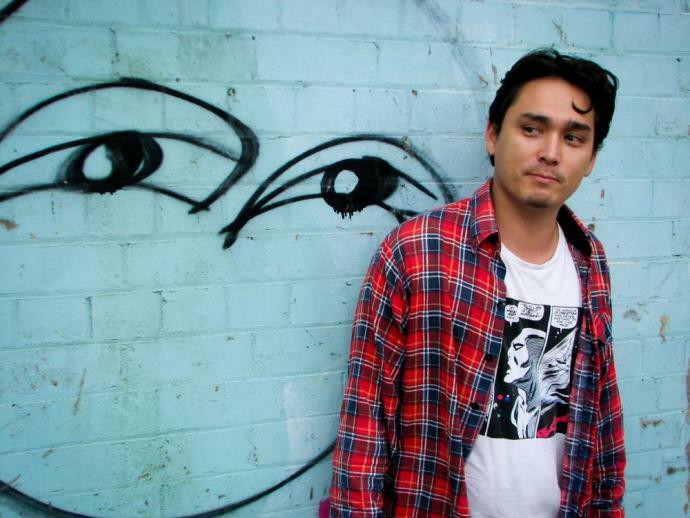 Joelistics grew up in Sydney, the offspring of a Chinese Australian father and an Anglo Australian mother, playing drums in punk and funk groups, but drawn to hip hop with its outspoken politics and ad hoc sonic cannibalism. At the beginning of the new millennium, Joelistics took the first of a series of ‘voyages’ around Australia, working as a fruit picker, visiting hippie festivals and hitch hiking across the country, eventually settling in Melbourne where he discovered a city going through a creative boom. In 2002 he founded TZU alongside Count Bounce, Yeroc and Pasobionic, signing to Liberation records the same year. Earning their stripes on the live circuit, TZU built a solid reputation on the back of their up-beat party rhymes, joining acts like The Herd, Hilltop Hoods and Bliss n Eso, as a vanguard of the second generation of Australian hiphop forging an identity both artistically and commercially. After three ambitious records, multiple award (AMP, J Award) nominations, countless festivals and tours, TZU decided to take a breather. Joel embarked upon another voyage, living in Shanghai and Beijing; travelling through Mongolia; and eventually settling in Paris for six months. In between writing for online travel sites and teaching English, he began work on his debut solo album, Voyager. Armed with a laptop, he wrote all the music on old headphones whilst riding the Trans-Mongolian railway, transiting through airports; and a winter in a one bedroom flat in the Montmartre district of Paris. In 2010 he returned to Australia and moved between Sydney and Melbourne putting the final touches on the album, inking a deal with Elefant Traks in early 2011. Joelistics has always drawn on influences from a wide variety of sources. As a solo artist his sound is grounded in the boom bap of hip hop whilst keenly revisiting his love of beat poetry, shoe gazer electronica and folk to create an album that is both introspective and electrifying. Entirely self produced with few guests, Voyager concentrates on themes of travel, modern world paranoia and growing older. Self-described as the ‘come down record of my late twenties’, his self-deprecating view allows the listener to discover for themselves the joyous optimism and redemption that co-pilots the album.